WHAT HAVE WE GOT TO ADD? Our contribution is the real expression of who we are and how strong we truly are. And what our presence signifies in the broader picture. There’s an irrevocable shift afoot, moving us towards a society that is hinged on what we mean as individuals. A growing sense of mutual accountability based on what we contribute as individuals to the whole. Owning who we are and not being afraid to experience what life has to offer. Facing life instead of running from it. Our egos protect the intelligent fear whereas the psychological fear of not being good enough is created by society. We need to dare to see our fear. Head on. Recognise it instead of being afraid of it. Realise that it is the root of all negativity. And the determining factor is not what you are in terms of colour, religion or belief, but how you position that identity within the collective context. JACKIE IS A COACH and her career as a high-level international consultant and PA has rewarded her with invaluable work experience. She is a strategist and is known for her pragmatic business acumen and is more than capable of solving the most complex of problems. Jackie has worked in Kenya, Spain and the Netherlands, but her roots lie in the Cape Verde Islands. SHE IS SKILLED AT HELPING people to live life more easily by honing in on the very roots of their belief systems and working at that core level. 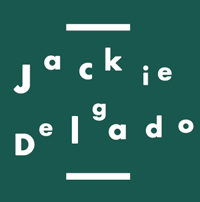 JACKIE TEACHES PROFESSIONALS AND INDIVIDUALS through interactions, tools, exercises, 121 or in workshops. She shows them how to go from head to heart, connect with their core, be grounded, deal with emotions and overcome resistance. Presence is a key concept – it is connection. Pain and suffering are caused when not being present. And such traumas leave a frozen memory field in your subconscious mind of something that is too hard to see, feel or experience. Jackie demonstrates that the only way out is through acceptance of what is. Connecting with your heart. Slowing down and returning to your blueprint without all of the programming and belief systems. Investing in yourself and what your wish to become. Jackie also taps into energy vibrations and looks at family and organisation constellations and patterns.